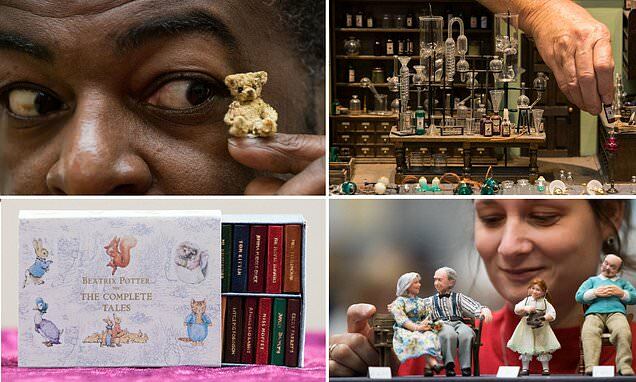 Hundreds of miniature experts and aficionados gathered in awe this weekend when a tiny world complete with houses, people and bears was bought to Birmingham. This international Miniatura Dolls' House and Miniatures show has been running for 35 years and allows some of the world's best craftsmen to showcase their intricate museum quality work at the National Exhibition Centre. Miniatura is entirely dedicated to the hobby of domestic modelling in 1/12th and related scales - also known as the 'one-inch-to-the-foot' scale.